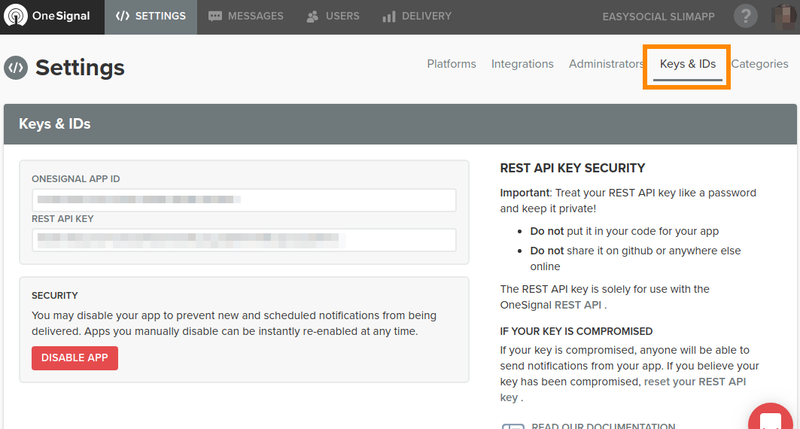 Please, double check to have all the required IDs and Keys, before proceeding with the rest of the configuration: App ID, REST API Key, User Auth Key. These steps are similar to the rest of the channels. Please, fill the fields, validate and save the channel. Go to Joocial, Channels, New. 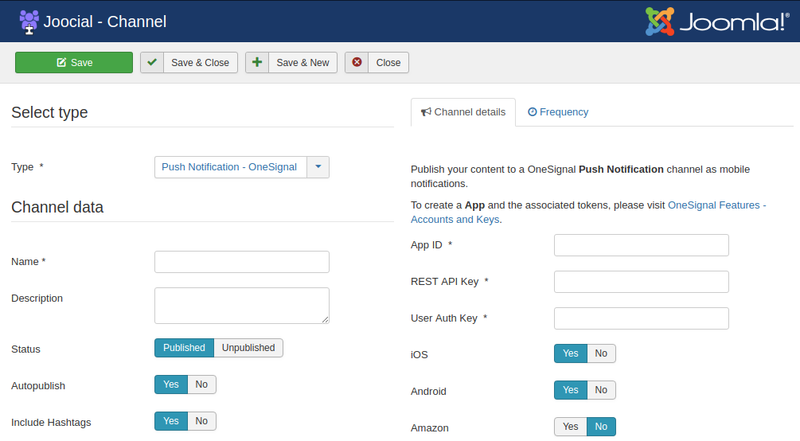 In Type, select Push Notifications OneSignal and fill the fields. 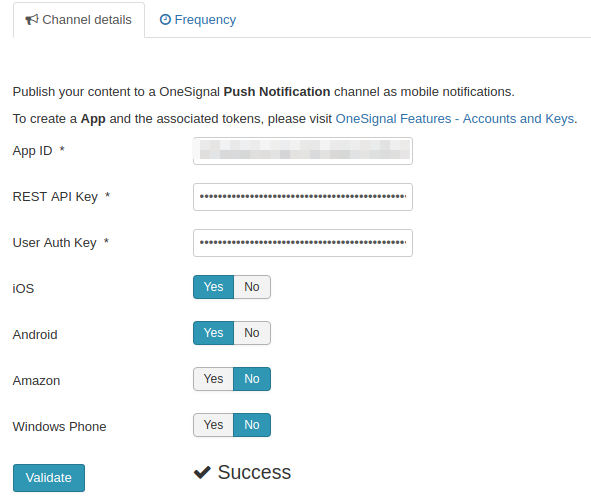 Go to your OneSignal dashboard, select the app, and in Settings you will find the App ID and the REST API Key. 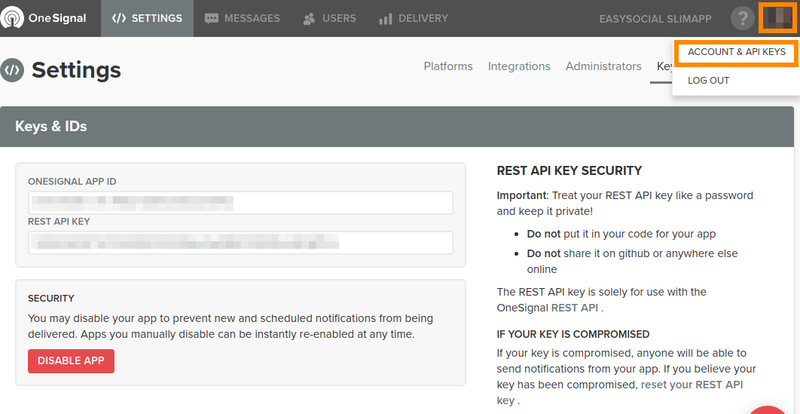 Go to your account, in Account & API Keys you will find your USER AUTH KEY. Fill the fields, validate and save. 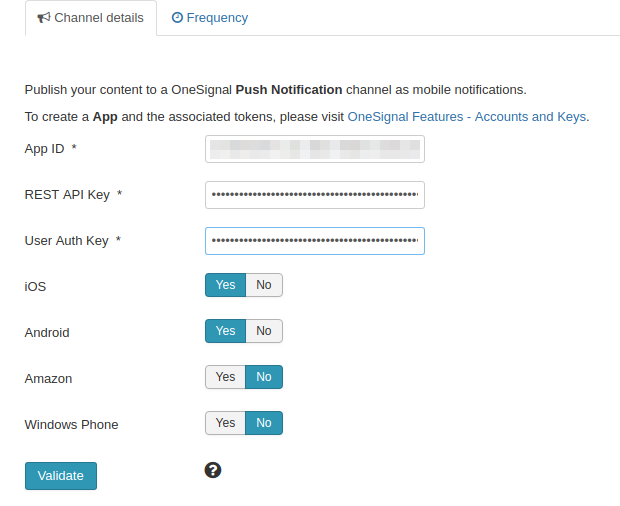 After this final configuration, the channel will be ready to publish notifications in the same way than the rest of the channels. 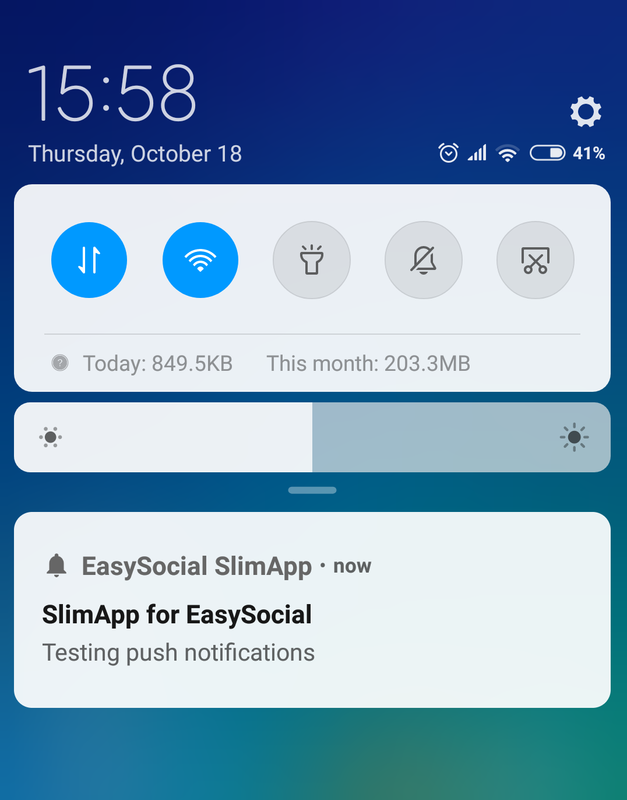 ← Write short social media posts!